On behalf of Saint Vincent Medical Center, here is the evening showcase by Wushu Shaolin Entertainment at the Dorothy Chandler Pavilion in Downtown Los Angeles. It was an enchanting evening, featuring the Shaolin Warriors, Outer Circle Crew, Lions Pride Kung Fu, Philip Sahagun, and members of the Wushu Shaolin Entertainment performance troupe. In addition, support from Great Events, Mount Hua Entertainment, Art Director Tuyet Vong, and facilitating photographers. On behalf of the King Abdulaziz center for Knowledge and Culture, Wushu Shaolin Productions was invited to perform for the 2011 Summer Festival. After much collaboration between the Shaolin Monks of China and the Kung Fu Heroes a show was presented on September 3rd in Saudi Arabia. These are clips of the first show by the American and Chinese Wushu Team. The King Abdulaziz Center for Knowledge and Culture is a dynamic and state-of-the-art institution that inspires passion for learning, creativity, volunteerism and cross-cultural engagement. The Center is the result of a monumental, forward-thinking Saudi Aramco initiative that exemplifies the company's commitment to the Kingdom and its communities. Dedicated to honoring Arab heritage, connecting Saudis to their culture and bringing world cultures to the Kingdom, the Center aspires to be a powerful stimulus for the development of new ideas, perspectives and relationships. All this serves to promote social progress and intellectual achievement. 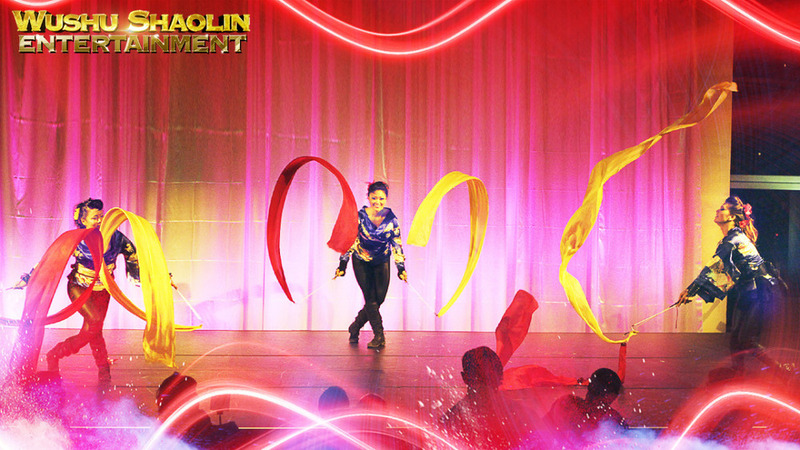 The showcase featured amazing Wushu and Shaolin Kung Fu demonstrations developed in China throughout the centuries. The performers are unique cultural artisans who have dedicated their lives perfecting their craft. In addition to stunning choreography and martial arts acrobatics, the presentation also included numerous traditional Kung Fu weapons. The Shaolin Warriors demonstrated their unique fighting abilities under the guidance of Shifu Hu Zheng Sheng, a revered Kung Fu master in China. Each segment featured unique color schemes and beautiful motion graphics. 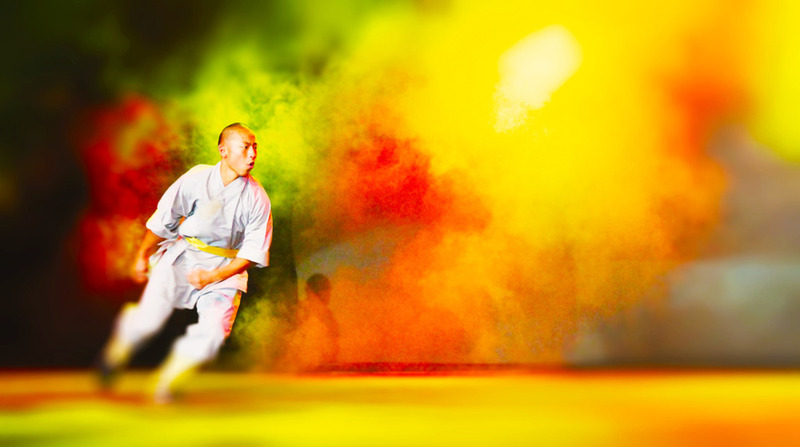 With compelling music and awe-inspiring haze, smoke, and fog elements, the Shaolin Warriors live showcase was a unique experience for citizens of the kingdom of Saudi Arabia.